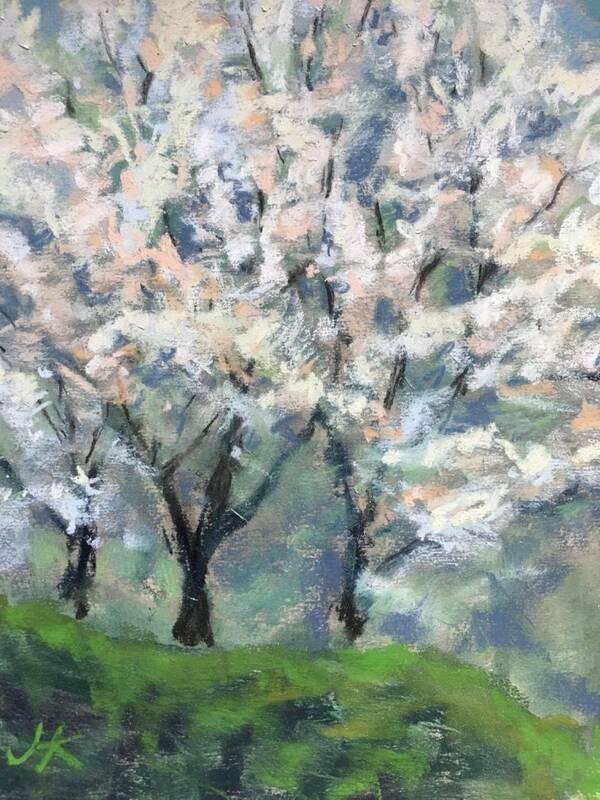 Original Pastel Painting: "Spring Cherry Trees" by Justyna Kostkowska. 8x10 in pastel on paper. Unframed. Only one exists!